Galveston Child Custody Lawyer | The Enos Law Firm, P.C. In our mobile world, parents and children often move from one state to another or even to other countries. Custody disputes, including cases where one parent kidnaps a child, are much more complicated when the case crosses a state or international border. The Enos Law Firm has experience in inter-state and international custody cases and the laws and treaties which apply to them. Grants priority to home state jurisdiction in original custody cases (the state where child has lived for the past six months). Preserves exclusive, continuing jurisdiction in the state that has made a custody determination. Authorizes courts to exercise emergency jurisdiction (domestic violence). Directs courts to decline jurisdiction created by unjustifiable conduct (such as child snatching). Provides procedures for enforcement of interstate custody and visitation determination. Creates registration process for interstate custody determination. Authorizes issuance of warrants to protect at-risk children of being removed from the state. The UCCJEA assures that a single court will have jurisdiction over custody proceedings, even if the child has been abducted by a parent or guardian. International child custody cases often involve a treaty called The Hague Convention on the Civil Aspects of International Child Abduction, which creates a mechanism for the quick recovery of a child wrongly taken to another county. Eighty nations have ratified this treaty (a list of such countries can be found at http://snurl.com/hcmembers) and 59 have entered into specific agreements with the United States concerning the return of children under this treaty. Most countries from the Middle East and South America have not ratified this treaty nor have Japan, mainland China or the Philippines. An application for return of a child under the Hague Convention may be made when a child is taken or retained across an international border, away from his or her habitual residence, without the consent of a parent who has rights of custody, if the two countries are parties to the Convention. The child must be promptly returned to the habitual residence unless the return will create a grave risk of harm to the child. The U.S. Department of State can provide assistance and information if an American child is taken to another country (for more information, see: http://travel.state.gov/family/abduction/abduction_580.html). The National Center for Missing and Exploited Children can also provide help in parental kidnapping cases (http://www.ncmec.org/). 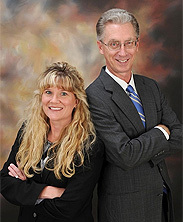 If you need a Galveston Child Custody Lawyer look no further then The Enos Law Firm, PC. Call us today.